Welcome to Baton Rouge Moms! It’s BRM launch day!!! If you have yet to do so, please take a moment to meet the ladies behind the blog, on our contributors page. Tiffany, Maggie and I are local bloggers that have been supporting moms online for many years. We are thrilled to be joining forces to put our collective talents to work for moms in the Baton Rouge area. The idea for this community blog was sparked a little over 10 years ago. Yes, I am a procrastinator, it took 10 years for my plans to come to fruition. I wanted to launch a site that would not only support moms in the Baton Rouge area, but make life easier with tips, recipes, reviews and local news. Moms are busy, we need the gifts of knowledge and encouragement without having to dig for them. My hope is that Baton Rouge Moms will fill a need in the community. Through daily topic posts, mom events and a strong social media presence, we will make it easy for you to find the information you’re looking for while staying connected to moms in BTR. Here is a taste of what you can look forward to at Baton Rouge Moms. We have listed some of this weeks BRMB launch giveaways too! Each Sunday we will post a list of events happening in the Baton Rouge area for that week. A one stop resource for you to find all of the weeks events at a glance. Be sure to check out our Kids Eat Free listing as well as our calendar of events (coming soon). Every Monday we will bring you Manger (Manger is the French verb “to eat”.) Mondays. We will share kitchen help in the form of menu plan tips, healthy 30 minute meals, recipes, quick fix snacks, smoothie recipes, green shakes, holiday treats and more. We will also share reviews, specials and giveaways from some of our local restaurants. Our very own Holly Clegg will also join us on BRM with her fabulous recipes and giveaways. Technology is defined as the application of scientific knowledge to the practical aims of human life. Every Tuesday we will bring you the latest and greatest in gadgets, apps and online resources for your family. The folks at Cox Communications – “your friend in the digital age”, will share their tips on technology too! Our days are filled with requests, deadlines and never-ending demands, leaving us tired and rarely taking proper care of ourselves. We can’t take care of our families if we are not taking care of ourselves. On Wellness Wednesday’s, we will share health and beauty tips and feature local Doctors who will guest post throughout the year and share their expertise on BRM. GIVEAWAY – One lucky Baton Rouge Mom is going to win this Wellness Gift Basket? Filled to the brim with all of the things that will help mom relax and rejuvenate! On Thursday we will share money saving ideas as well as local deals, sales, promotions and thrift store happenings. One of our partners, Chick-fil-A at College Drive, is one place to get a great deal on Kids night! Eat a delicious, nutritious meal and enjoy FREE events for the kiddos! This Thursday, Chick-fil-A at College Drive will host BRFD Fire Safety Night & Parachute Drop, be sure to RSVP here. . GIVEAWAY – Chick-fil-A at College Drive is giving away 2 Adult Meals and two Kids Meals to be redeemed at the College Drive location. It’s FRIDAY Fun Day and we will be sharing fun things to do in the Baton Rouge area along with freebies, and fun posts for mom. Speaking of fun, have you had a chance to visit Quarters off Sherwood Forest? Quarters is the only venue for endless family entertainment, including a state of the art video gaming floor with consoles and computers with the really good gaming keyboards and other hardware, 10 lane boutique bowling alley, 2-story 8,000 sq.ft. laser tag arena and a Full Service Restaurant. One lucky family in the Baton Rouge area will get to experience the fun first hand! 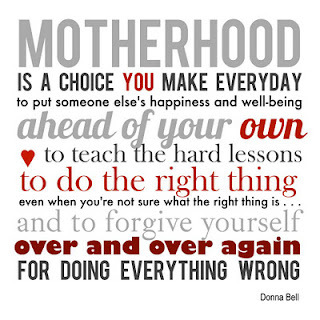 We are all navigating this crazy, amazing, beautiful thing called motherhood together. The key word being “Together”. We hope to bring moms in the Baton Rouge area together for support, encouragement and a real sense of community. The sense of community is a feeling members have of belonging, a feeling that members matter to one another and the group” (McMillan and Chavis, 1986). Sisterhood Saturday will be a day where we share the real side of motherhood through our own stories, parenting and home keeping tips. We hope you will share your Supermom moments, your struggles, your knowledge and support with us too. We will also share ways that we as a community of moms can work together to help make BTR the best it can be through social good efforts and volunteer opportunities. GIVEAWAY – LALove Necklace in Purple, Mint, or Pink – Silver or Gold Chain. We love this necklace from Hey Penelope Design, the perfect Logo jewelry for Baton Rouge Moms Blog! 7 days of of all things Baton Rouge, Family, Fun and most importantly #BRMOMS! To enter to win the above giveaways, please follow the instructions in our Giveaway widget below… Number one on the widget is the only mandatory entry for our giveaway (leave us a comment and tell us what you hope to gain out of Baton Rouge Moms) All additional entries are extra and will give you additional entries into our giveaway. Giveaway ends Oct. 7th, winners will be listed and emailed on Oct. 8th. Keep up with Baton Rouge Moms on the go!